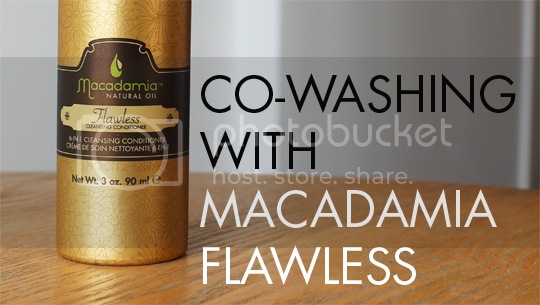 Before Macadamia Flawless* came into my life, I wasn’t super familiar with the concept of co-washing. I’d heard of it, but was under the impression that the practice of forgoing shampoo and washing your hair with conditioner was something reserved for afro hair. Turns out (not for the first time in my life) that I couldn’t have been more wrong, in fact co-washing can be pretty much a revolution for any hair type. Washing your hair with conditioner is great for colour preservation as it’s not stripping your hair with harsh sulphates, and it hydrates the hair shaft much more efficiently which really helps to cut down on frizz and improve manageability. So, while co-washing is most popular among women with thick, frizzy and curly hair (that’s me), the very idea of skipping the shampoo and applying conditioner anywhere near my roots frankly terrified me because I have a super oily scalp. But, all in the name of blogging, I couldn’t say no to at least giving Macadamia Flawless a try. 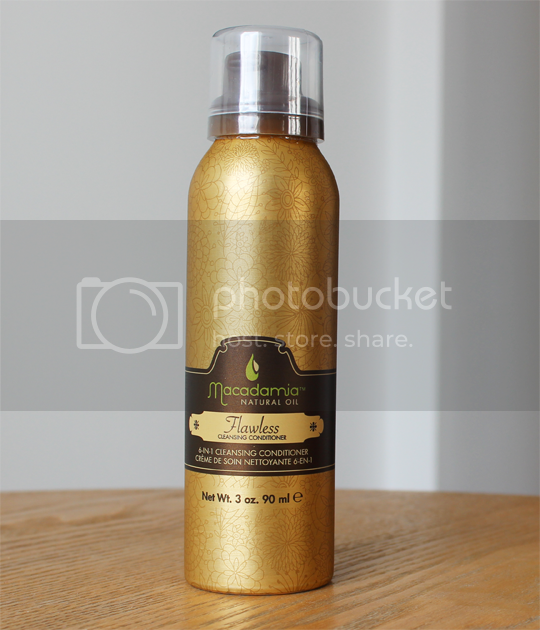 Macadamia Flawless is touted as a 6-in-1 product that cleanses, conditions, reduces blow-drying time, detangles, enhances volume and eliminates frizz. That’s quite a lot to live up to! Flawless dispenses as a mousse-like texture that creates no suds, which does take some getting used to. Initially I was a bit scared of leaving it in for the suggested 5 minutes before rinsing out as I didn’t want my oily scalp exacerbated. I was also worried that it would weight my hair down and leave my curls limp and lacklustre, but I’m pleased to report that the results were quite the opposite of my fears. If I’m leaving my hair in its naturally curly state, then I leave it to dry naturally. This usually takes at least 3 hours, but when left to dry naturally after using Macadamia Flawless it’s dry within two. If I’m blow-drying and straightening my hair, blow-drying time is halved from its usual 20 minutes to 10. My hair is left bouncy and shiny with significantly less frizz and flyaways, and the very best part? It doesn’t grease up my scalp in the slightest. There is, however, a downside. A pretty big one, too. This stuff is expensive. Macadamia is a mid-to-high end brand anyway, so you can’t expect to pay a pittance for this paraben-free can of brilliance. Even so, I do think it’s a little steep at £25.75 for 250ml. It doesn’t last very long – my 90ml sample can (which retails at £8.75) lasted about 7 washes. Despite it’s price, I would definitely say I think this is worth it. For most people, you wouldn’t want to be co-washing every time as you’ll experience some serious product build up quickly so by alternating this with your regular shampoo you’ll feel the benefits better and stretch our your supply for longer, too. You can also save a few quid by picking it up from LookFantastic, where the larger 250ml size costs £20.60. What do you think? Do you swear by co-washing, or is this all Greek to you? I loved using Flawless too but the price is far too steep! I went through the entire can within a week. I think it might be good as a transitional product from shampoo to then using only conditioner after it’s used up though. If it wasn’t so expensive I would have repurchased it!